Following the creation of the Ultra Hand, Gunpei Yokoi was set to work on a follow-up that would equal its success. Baseball has long been popular in Japan - fostering a popularity not dissimilar to that which it has in the United States - and a toy related to the sport turned out to be a good idea. The toy Yokoi created was a ball pitching device. It would become Nintendo's second million seller. Keeping with the tradition started with the Ultra Hand, the toy was called Ultra Machine (ウルトラ マシン). "Ultra" was a popular phrase in Japan in the 60s and 70s, used amongst others in the names of popular television series like Ultra Q and Ultra Man (both from 1966). The Ultra Machine was introduced in 1967 under the "Nintendo Game" label, for a retail price of ¥1,480. 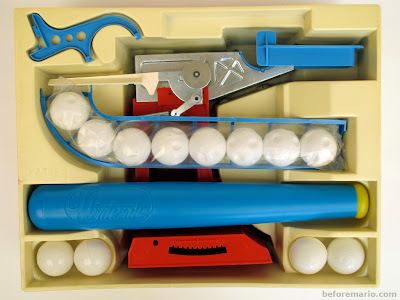 The Ultra Machine set included a retractable plastic baseball bat and 12 ping pong like balls. 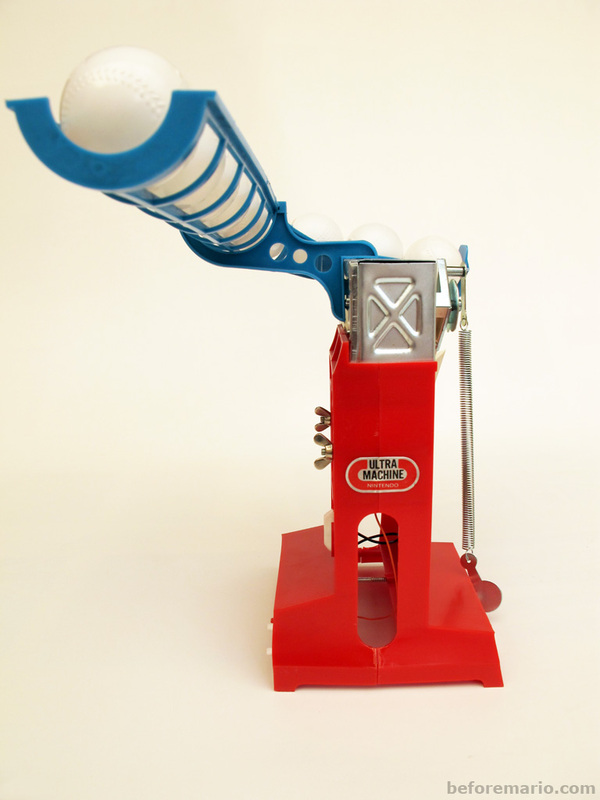 The Ultra Machine contains a small electro motor that drives a rotating arm, slinging the balls one at a time at the player. The player returns the balls using the provided baseball bat. The bat is around the size of a regular baseball bat and has nice embossed Nintendo branding. Although the branding on the box and toy is in English, for the most part the Ultra Machine remained a Japan-only release. It did see some limited export to Australia, changing the name from Ultra Machine to Slugger Mate. The battery compartment on the side houses a single D cell. The Nintendo logo on the battery door is one of the many logos used by Nintendo in the second half of the 60s. The balls sport a "Nintendo Game" logo. To start the game, the balls are loaded in the blue chute which is attached to the side of the Ultra Machine. The metal spring, which will sling the arm and pitch the balls, has to be attached to the base. The speed and angle at which the balls shoot towards the player can be adjusted by changing the location of the spring backwards or forwards. There are two types of balls. The smooth balls will shoot in a straight line. The others are curve balls; the small indentations in the surface of these balls give them effect. This unpredictability of the trajectory of the balls makes hitting them quite challenging. When the Ultra Machine is switched on, the motor starts turning the pitching arm. This pulls the spring upwards, until it reaches the top. At that point, the spring is suddenly released, slinging the ball forwards. As soon as a ball has been fired, a new ball will roll down the chute and take position for the next shot. This continues automatically until all balls in the chute have been pitched. Although ample balls are provided with the Ultra Machine, balls can obviously get lost or damaged. To ensure continued fun even when this happened, additional balls could be bought separately. The extra balls where sold in packages of twelve, for a very reasonable ¥100. 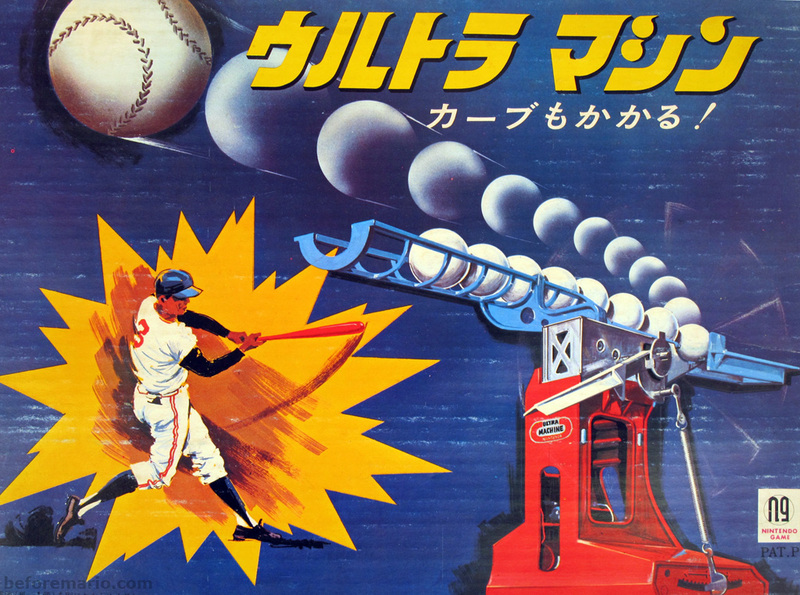 These were called Ultra Machine Spare Ball (ウルトラ マシン スペル ボール). Each spare ball set consisted of six straight balls and six curve balls. The Ultra Machine proved another success for Nintendo, further cementing its ambition to make it as toy manufacturer. It remained a good seller for many years. In 1974, the packaging of the Ultra Machine was changed, replacing the generic graphics with photos of players from the popular Tokyo (Yomiuri) Giants and Osaka (Hanshin) Tigers. The change only impacted the box. This version of the Ultra Machine was identical to the one introduced in 1967. The retail price was increased to ¥2,800. The box lists the patents issued by the Japanese patent office for the Ultra Machine: numbers 954238, 954259 and 303513. The first two protect the concept, while the latter is a design patent. The items were packaged more economically in the 1974 box, allowing it to be smaller than the 1967 version. The number of included balls was reduced to ten, and the bat color changed from blue and yellow to silver and black. A number of variants of the 1974 box exist, with small differences in the photos used. These versions are otherwise identical. 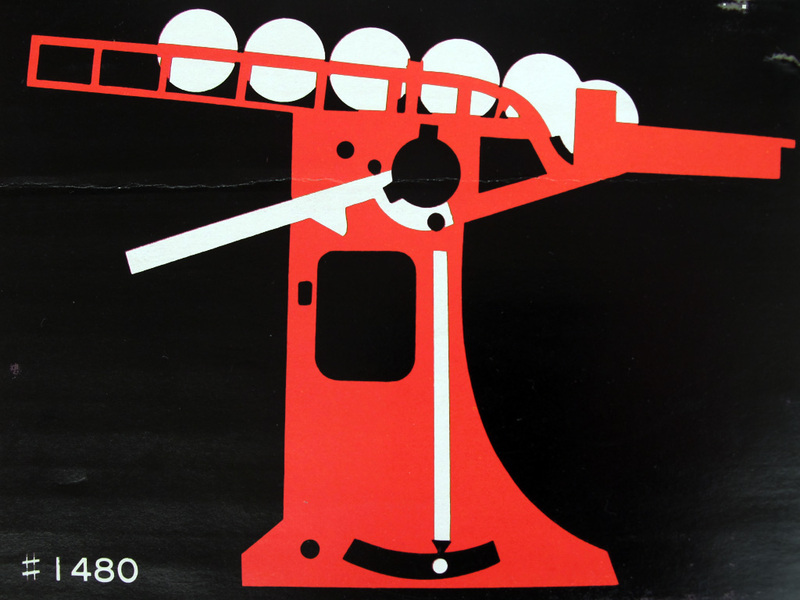 In 1977, the Ultra Machine was redesigned using a more contemporary rounded look. This release was called the Ultra Machine DX. To conclude this post, let's see the Ultra Machine in action! Also check out this post about the Ultra Machine instruction sheet. I'd hate to comment on an article as old as this, but the Ultra Machine came back in Rusty's Real Deal Baseball as a pitching machine, though in a visual gag it turns out the machine is only the head of a man in a business suit who tosses balls to the player with his hands. I thought this looked familiar, and I'm sure anyone else who's played that game would remember. Actually, if I'm not mistaken that game probably has a lot of callbacks to older Nintendo products. Thanks for pointing this out. I somehow missed this when it was released back in 2014. This thing appeared as a boss minigame in the original WarioWare on Game Boy Advance.